3 years after the events of Bound to Play, chakats Midsnow, Blacktail, and their family have made the move and immigration to Chakona the self proclaimed home world for the chakat species. CreateSpace, June 2013, trade paperback $19.95 (308 pages), Kindle $7.99. Illustrated. The Cat's Eye Pub, like Bound to Play and the forthcoming A Chakat in the Alley, is set (with permission) in Bernard Doove's Chakat Universe. 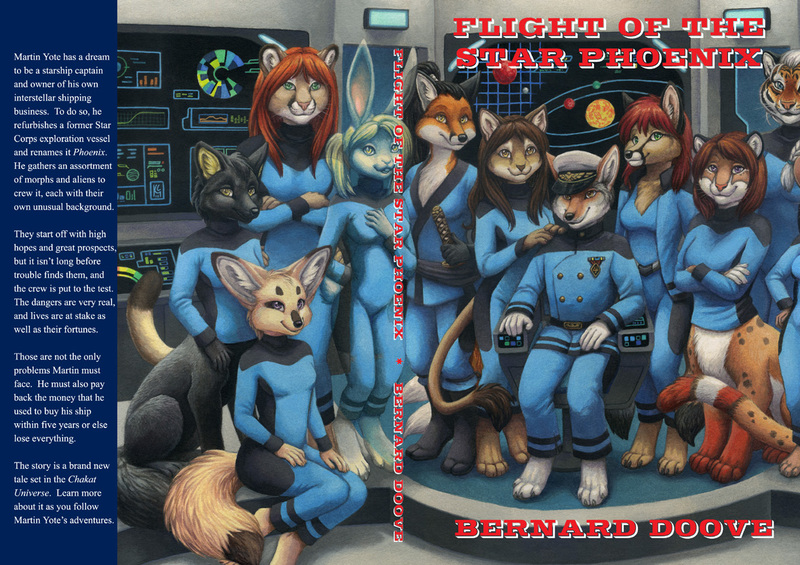 It features those hermaphroditic centauroid felines, along with the humans, Caitians (bipedal felines), Rakshani (bipedal like Caitians but taller and more tigerlike), skunktaurs, and other species of Doove's 24th-century interstellar civilization. “Chosen People” by Phil Geusz, set in his Book of Lapism world. “Going Concerns” by Watts Martin, set in his Ranea world. “When a Cat Loves a Dog” by Mary E. Lowd, set in her Otters in Space world. “Piece of Mind” by Bernard Doove, set in his Chakat Universe. The fifth story is “Huntress” by Renee Carter Hall, in a new setting of tribal anthropomorphic African lions. The wraparound cover is by Terrie Smith, illustrating Phil Geusz’s “Chosen People”. 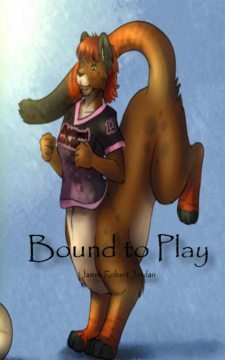 Bound to Play is set in Bernard Doove’s Chakat Universe. It features those hermaphroditic centauroid felines, along with their national game of Chakker. Chakker is explained in Doove’s “The Great Game of Chakker”, in his Tales from the Chakat Universe or on his website. 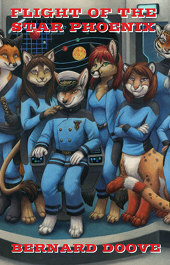 Chakats Grill and Midsun are cubhood friends living in Melbourne on Earth in the 24th century, where there is a large Chakat community. They are also Chakker enthusiasts who are now in their late adolescence and on the same junior league team, the Blind Bight Cubs. Although they are hermaphrodites, Grill is more masculine and Sun is more feminine; something that they have always been aware of intellectually but now feel emotionally since they are going into heat. Being Chakats, they are less embarrassed about mating in public than being caught mating together since they are known to their families as just Best Pals. 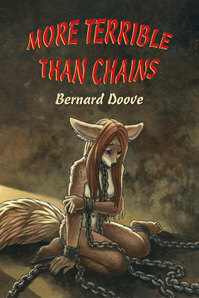 CreateSpace, May 2012, trade paperback $12.99 (xv + 142 pages), Kindle $8.00. Illustrated. 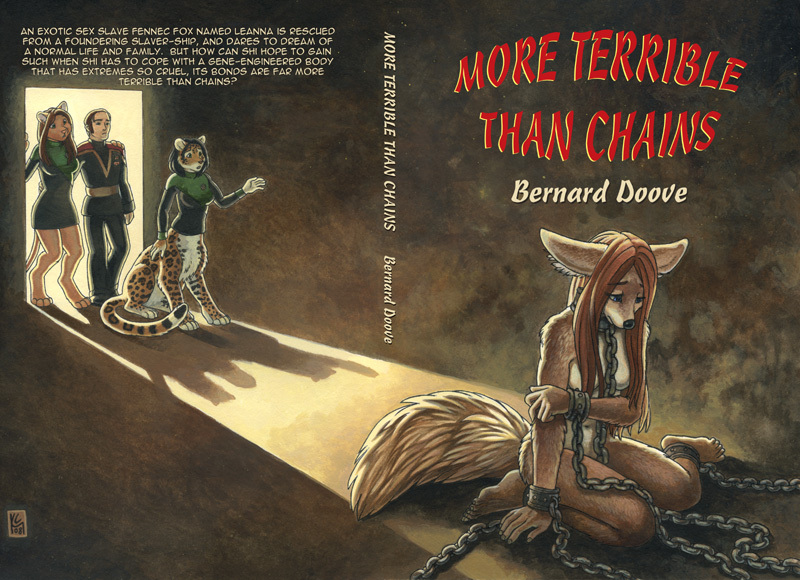 Melbourne Furry fan Bernard Doove has been writing his chakat stories on his website “The Chakat’s Den” since 1995. Beginning in 2006 he began compiling his short stories into books, starting with Transformations, Jazmyn, and More Terrible Than Chains, which were story arcs that made separate novels. Now Doove has returned to his earliest stories, which did not. Forest Tales contains the first twenty-seven stories in that series, redubbed “episodes”, written between 1995 and 2002. There are many more, but the series breaks easily at this point. 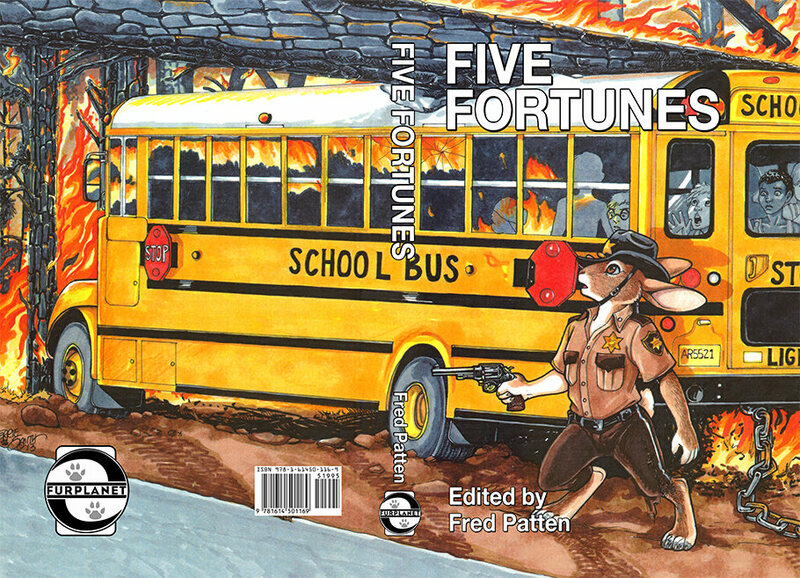 Doove is the primary author, although four of the twenty-seven were written in collaboration with other authors, and one is written by Christian Neumann. 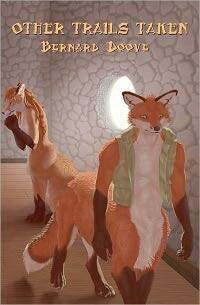 CreateSpace, May 2010, trade paperback $25.95 (466 pages; illustrated); e-book $16.99. Doove lives in Melbourne and has been one of Australia’s leading Furry fans since 1993. His “Chakat’s Den” website, the home of his (and others’) chakat fan fiction, has been up since 1995. A large number of his short stories were on the website before he began collecting and self-publishing them in book form. Other Trails Taken is subtitled A Chakat Family Journal, Book II. 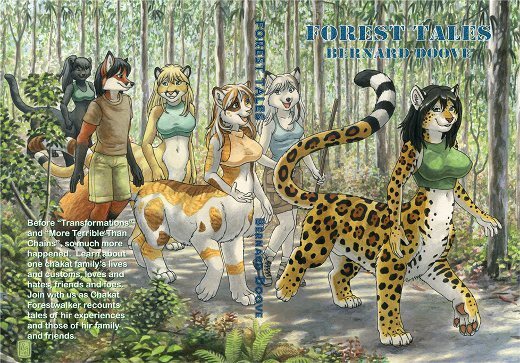 In fact, it is a direct followup to Forest Tales: a Chakat Family Journal, published in May 2010. It does NOT stand on its own. 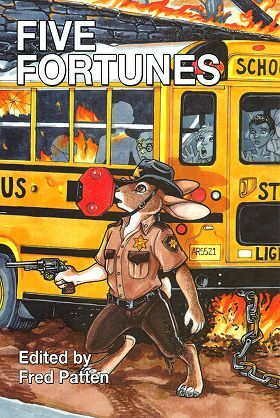 You have to read Forest Tales, including the stories collected in Transformations (review) in 2005 (new ed. 2008), to understand it. CreateSpace, May 2011. Trade paperback $25.95 (499 pages).